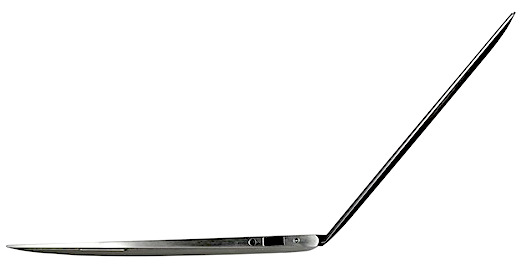 Will 2012 be the year of the Ultrabooks? In the 2011’s final SHIFT event – SHIFT ultra, a young adult speaker series hosted by Intel and Lenovo it was mentioned that as 2010 was considered as the year of the Netbook and 2011 of the Tablets in the same way 2012 will be the year of the Ultrabooks. Lenovo Ideapad U300s an Ultrabook from Lenovo took the center stage with Gareth Cliff, popular radio and television personality at SHIFT ultra. The Ultrabook fitted neatly with the theme of the final SHIFT event in a series of popular events. It has become a popular event for young, tech-savvy adults providing them an opportunity to discuss trends and issues with a range of speakers since being launched earlier this year. Some analysts predicted that of all 40 percent of the laptops sold in 2012 will be Ultrabooks from different manufacturers. According to Kamal Vasram, Intel Corporation South Africa’s consumer lead and retail manager, the Ultrabooks are the skinny sisters of conventional laptop but with substantially longer battery life. He also believes the Ultrabook to be the next revolution in personal computing. Apart from this highly sleek appearance and high processing speed, Intel believes the Ultrabook will come on its own with the youth market by providing the users with what they are used to do, with a greater ease, than a laptop or a desktop and even a better portability. According to Vasram the evolution of the laptop and the tablets will depend on the users need. They might get divided into two categories as for those who need them as technology devices for pure consumption and other who needs them for creation. He also added that the development in the past few years has shown us clearly that people love smaller and more convenient devices. Apart from that there’s also a growing realization that consumers need technology to help them in getting things done or we may say to be more productive as well as to advance themselves. There might be about 50 different models of Ultrabook will be released at the Consumer Electronics Show (CES) in the US next year. As we can see the manufacturers’ interest in releasing their own Ultrabook there will also be a lot of competition and prices might fall in the future at which the notebooks are currently sold. > Notebook / Laptop Reviews and News > News > News Archive > Newsarchive 2011 11 > Will 2012 be the year of the Ultrabooks?